A churn is expected in the solid waste management ecosystem in the city in the coming months. The Chennai Corporation is said to be in the process of finalising the draft Solid Waste Management bye-laws, 2016 in accordance with the Solid Waste Management Rules 2016. The proposed plastic ban to be implemented from January 2019 will only add to the changes that the residents of the city must adapt to once the implementation is in full swing. These measures are expected to help the city cut back on waste generation, one of the highest per capita in the country. 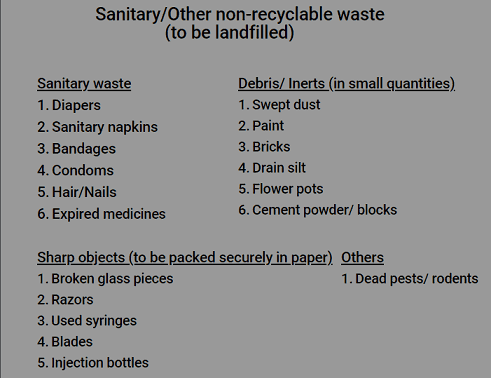 An apartment complex in Chennai has been steadily working towards the goal of reducing their share of waste that is landfilled by adopting a novel, DIY waste management system that relies on the participation of each resident in the community. 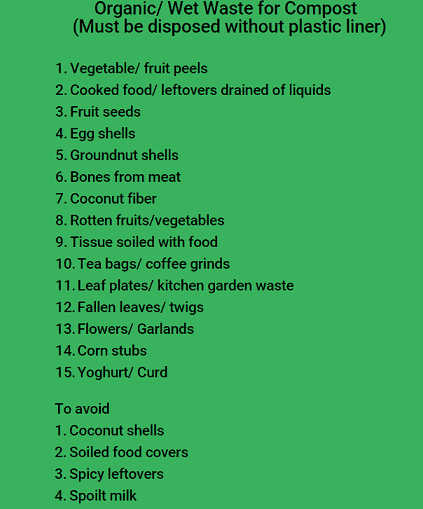 The residents of Ceebros Boulevard apartment complex on Old Mahabalipuram Road (OMR) in Thoraipakkam have been following a customised waste management system ever since the decision was made to adopt an environment-friendly system on August 15, 2015. The members of the Ceebros Boulevard Flat Owners Association (CBFOA) came together to start an initiative called Boulevard is Green (BIG). Since the launch of the initiative in the 352-apartment complex, they have been able to accomplish 75% compliance, and aim to achieve complete segregation in the coming years. The wealth of experience gathered in implementing a system that relies on source segregation to reduce the amount of waste that goes to the landfill, has provided the residents of Ceebros Boulevard some learnings that other apartments complexes can also benefit from and emulate. Here is a step-wise guide that such associations can follow in their attempt to go green, à la Ceebros Boulevard. Convince the key players: The hardest task is to get individual houses and residents on board the new system and ensure compliance. For this purpose, there is a need to spread awareness not only among the residents but the support staff including the domestic help employed by the residents and the facility managers of the complex. The Ceebros association conducted extensive, focused training for the support staff, who are vital to the continued functioning of the system. For the residents, a green brigade was formed for every floor of the apartment with 2-3 volunteers who went door-to-door to explain the new system of segregation and clarify and questions that may arise. For every new resident moving into the apartment, a welcome kit is provided that details the system followed. A segregation guide is part of the package that helps residents easily identify what item of waste goes into which of the three bins. For residents who were unable to procure bins, the CBFOA procured the right bins on their behalf for the cost. Evolve a process: Various iterations of the waste collection process has finally led to the current DIY system. From the start, a three bin system has been in place. One for each – food waste, recyclables and non-recyclables. While source segregation is vital for the system and has remained unchanged, the method of waste collection was tinkered with for optimisation. As a result, the current system which is being followed for the past eight months has been put in place. Under this DIY system, a green space has been created in the basement where bins were placed for each category of waste. 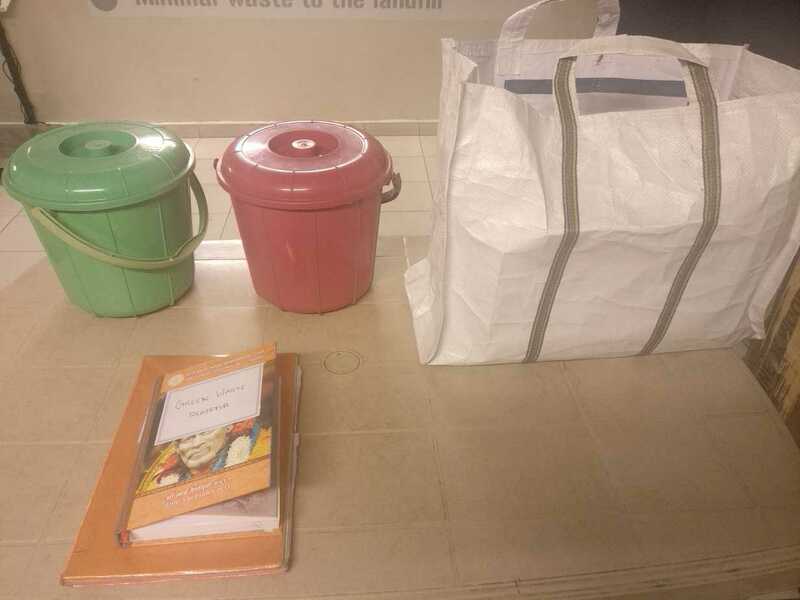 The residents would bring their segregated household waste to the green space where the housekeeping staff would collect them and perform secondary segregation and sorting. This has helped reduce instances of contamination and improved overall compliance. As the wet waste and non-biodegradables are cleared each day by the Corporation, the area is also clean. A local kabadiwala collects all the recyclables twice or thrice a week. Organic waste to be deposited in the green bin. Non-recyclable waste to be deposited in the grey bin. 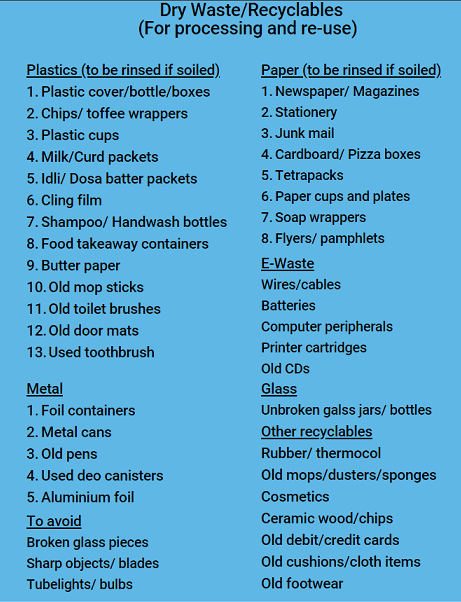 Recyclable waste to be deposited in blue bins. Carry on with supplementary efforts: Since the ultimate aim of the system is to reduce the amount of waste that is landfilled, particularly plastic waste, the residents have made concerted efforts to eliminate plastic from the premises. The in-house departmental store only provides cloth bags. Residents are advised to bring their own bags for grocery shopping as well. For celebrations such as Navratri, the residents have switched from plastic cutlery to eco-friendly items such as bagasse plates and spoons. Vendors who visit apartments, such as flower-sellers have been requested to drop off the supplies in bags that are placed by residents, instead of plastic bags. Events and contests are organised regularly to encourage environmental consciousness and foster a sense of responsibility for the planet. Children take part in these events and increase their awareness about the harmful effects of plastic and the need to act to save the environment. The prizes for the winners of these contests are sourced from non-profits that help those in need. Knowledge and learning are also shared with others who intend to implement similar systems in their households. In the three years since the implementation of the system, the achievement of around 75% compliance on a day to day basis is significant success. Metrics tracked by residents show that the amount of non-biodegradable waste that is landfilled from the complex has reduced from 28 bins to 20 bins since the start of the new system. The system, however, is not without challenges. It requires sustained and continuous effort to remind residents to segregate at source, as they strive for 100% compliance to reduce any contamination of segregated waste. The challenges posed by the larger ecosystem is something that has to be addressed city-wide. Residents often complain of instances where the segregated waste is mixed by employees of the Corporation, as a means to save time or if their tricycle is full. There is also the challenge of new residents easing into the system. Another issue has been the widespread use of plastic bags and cutlery by food delivery services that cater to the residents of the apartment. E-commerce companies such as Flipkart and Amazon have also been complicit in the increased production of waste as a result of their packaging. While the residents have made proactive efforts to reduce the waste generated in one apartment complex, questions therefore remain as far as the larger system is concerned. If the segregated waste is mixed at the level of collection by employees or if the Corporation of Chennai continues to adopt the current, unscientific system of landfilling, such success stories can only take place in a vacuum. ** Errata: The chronology of events mentioned in the first version of the article has been corrected following the clarification by residents. Food delivery persons face many hardships on the job, including dealing with ‘hangry’ people on a daily basis. Yet, they soldier on in the face of a lack of enough alternatives and in hopes of a better future. 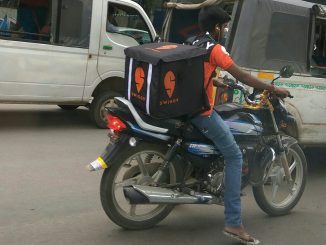 A chat with a delivery person for Swiggy in Chennai. Art, tradition, community and environmental responsibility — this heady mix came alive in Chennai recently, when the first ever India Quilt Festival showcased the practice of quilting and its many forms. Citizen Matters in conversation with one of the organizers of the festival. 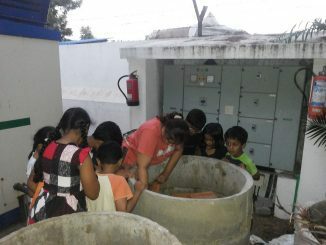 Getting a community habituated to segregating their household waste at source is a long and sometimes arduous journey. 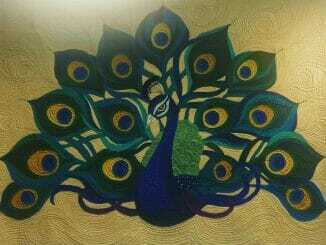 But it’s well worth the time and effort, as this OMR initiative shows.